UK’s leading supplier of ironmongery to the trade, IronmongeryDirect, has been named as one of the top internet retailers in the UK. The company has appeared, for the first time, in the Internet Retailing UK Top 500, entering within the first 350 businesses. The IRUK Top 500 report ranks retailers by revenue, store networks and website traffic as well as undertaking in-depth analysis into an organisation’s approach to customers. Wayne Lysaght-Mason, Managing Director at IronmongeryDirect, said while they had experienced their best financial year to date, the Basildon-based wholesaler was not resting on its laurels – with further expansion planned in 2019 and beyond. He said: “We are thrilled to have made it into the IRUK Top 500 internet retailers. To be included in a list of companies that consist of the likes of Amazon, John Lewis and Argos is a great reflection of our achievements and is an indication of the positive direction that IronmongeryDirect is heading in. IronmongeryDirect has recently completed a major expansion of its warehouse and is preparing to celebrate its 50th anniversary later this year. Wayne continued: “The expansion has enabled us to improve our service offering whilst continuing to grow our product range, bringing the total range to over 17,000 products. Hörmann UK, Europe’s leading door manufacturer, will be launching its new internal timber door offering to fabricators and installers from the 21st - 23rd May at the NEC, Birmingham, whilst also showcasing its high quality steel and aluminium entrance doors. Having firmly established itself as the number one provider of entrance doors, garage doors and timber internal doors, Hörmann UK prides itself on offering the highest standards in products and services via its nationwide network of distributors. 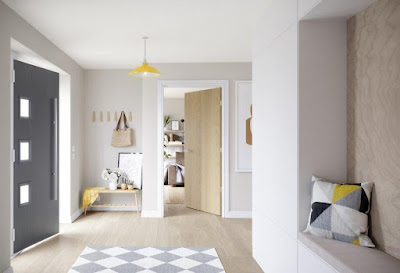 On stand D26, visitors will have the opportunity to meet with Hörmann UK’s dedicated team of experts to find out more about its new range of timber internal doors, which feature uncompromising quality to deliver a long service life that meets the daily needs of modern families. 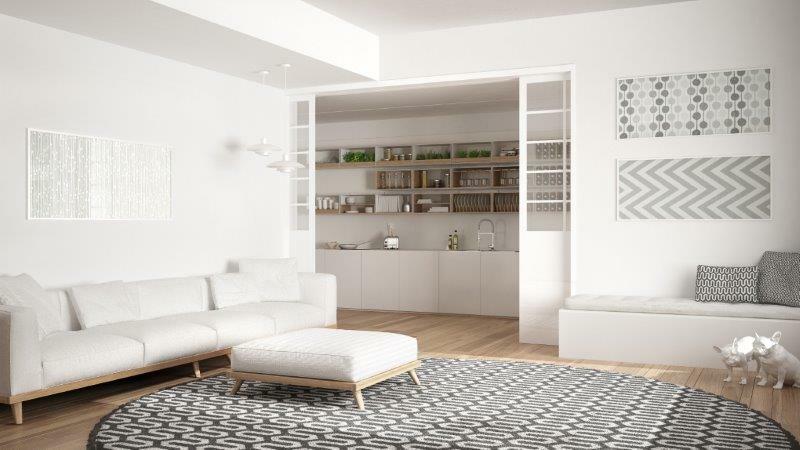 Designed to suit both contemporary and traditional properties, the doors feature a range of designs including frameless glass, stylish Grey Oak or Anthracite options for modern interiors, with Spanish Oak and Parchment White finishes for more classic homes. Also on show will be Hörmann UK’s innovative Thermo65 and Thermo46 entrance doors, which offer world class U-values as low as 0.87W/m².K. The doors are constructed of high-quality components including a 46mm or 65mm thick steel door leaf, which features a composite sub-frame for high stability, combined with an aluminium frame that incorporates a thermal break, contributing to excellent thermal insulation. Featuring a large selection of styles at an attractive price-performance ratio, the Thermo46 and Thermo65 entrance doors are an industry favourite, offering a uniform view from the inside due to the solid door leaf construction. Also on show is Hörmann’s popular ThermoSafe entrance door, available in over 70 different styles and 18 colours, which offers impressive energy efficiencies. This is combined with first class security benefits due to its standard security equipment, certified to EN1627 resistance class 3, including a 5-point security lock. Celebrating its 40th anniversary throughout 2019, Hörmann UK has developed a strong relationship with its nationwide network of distributors, homeowners, architects, specifiers and construction professionals over the last four decades, which is reflected in the company’s diverse and ever expanding product and service offering. “Here at Hörmann UK we are dedicated to providing professionals with products that are not only easy to install, but are also readily available, which is why we work closely with our nationwide network of distributors to ensure we offer the shortest lead times possible. To view Hörmann UK’s complete offering for the industrial and consumer markets, visit www.hormann.co.uk or call 01530 513000. Garador have just introduced a new colour, Anthracite Metallic (Noir 2100 Sable) for their market leading range of roller doors, the GaraRoll. The addition of Anthracite Metallic brings the total number of colours available to 15. Anthracite Metallic has a dark grey appearance and has pearlescent flecks blended into the paint, which creates an impression of quality and excellence in contemporary design, and would suit homes with modern architecture. 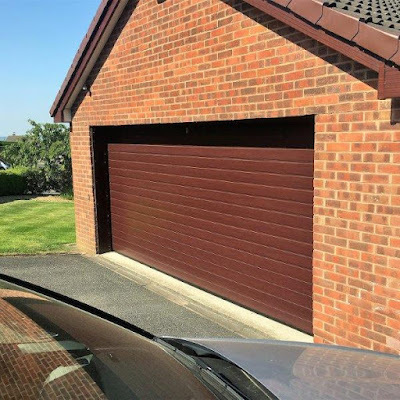 The GaraRoll is very popular with homeowners looking for a garage door which doesn’t take up too much space inside the garage. The GaraRoll rolls up into a box at the head of the garage door opening, leaving access open to the ceiling or roof area inside the garage. The door curtain is made up of aluminium foam-filled laths which are 77mm high and is supplied with a roller door hood cover as standard for safety and to help protect the door curtain from dirt and dust when rolled up. Sliding and folding door hardware manufacturer, P C Henderson, is pleased to announce the launch of its new Pocket Door Pro range of sliding door hardware. Available in standard, soft close, self-close, fire rated and automated variants – the new system is set to be one of the most flexible and versatile pocket door hardware systems on the market. The new 120kg capacity system has been designed using a high quality, robust aluminium frame making it ideal for new builds and areas of heavy use such as educational buildings, hospitals, hotels, office blocks and disability access areas. 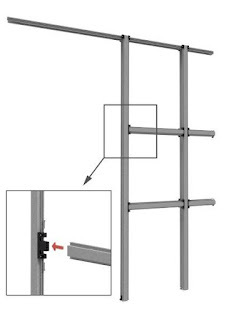 Designed with ease and speed of installation at the forefront of the product development process, the product comes with pre-assembled components and a push together frame. 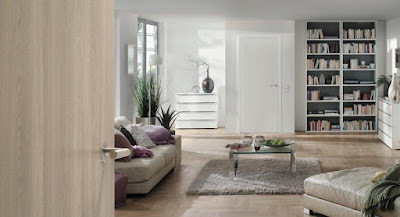 “Pocket Door Pro comes with a number of detailed design elements to make the installation process as easy as possible. The track is provided with a machined cut out allowing hardware to be removed for adjustment without removing the entire system. “All of the framework is pre drilled, saving the installer vast amounts of time on measuring and drilling – as well pre-assembled parts so that the framework can be installed using a simple ‘push and click’ approach”. Pocket Door Pro Fire Rated is also part of the new range which is a fully certified pocket door system to FD30 or FD60 standards. The kit contains all the benefits of the standard system with the addition of a specially adapted FSC Redwood liner kit complete and intumescent seals. The process of finger jointing reduces any issues with twist, bow and cupping, making it ideal for this type of application. “Our standard pocket door system has been on the market for over a decade and is still one of our most popular products. 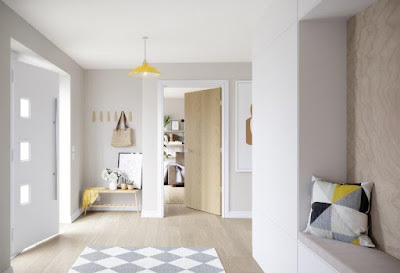 Research indicated that there was a need to expand the range – more functionality, increased scope of size, along with the requirement for a most robust and durable system – Pocket Door Pro really delivers on this”, continued Andrew. The system is available in seven different kit variants (catering for doors up to 2315mm x 930mm), 120mm or 125mm finished wall thickness as well as a variety of functionality options – including soft close, self-close and automated. A high quality liner kit is available as an optional extra, providing customers with the freedom to create their own method of finish as and when required. 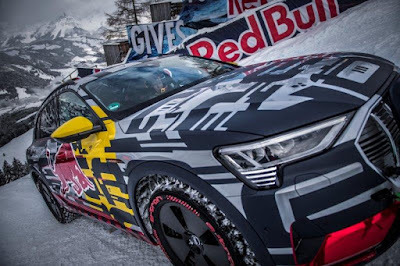 In late January, Audi sent its first fully electric-powered SUV onto the Austrian slopes where the world’s best ski racers battle for victory in the Hahnenkamm Race. 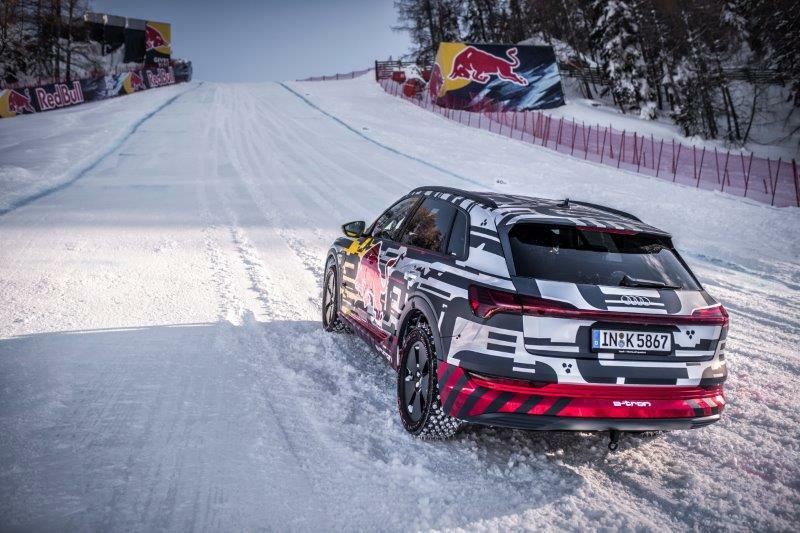 The specially equipped Audi e tron climbed the “Mausefalle” on the legendary “Streif”. With an 85 percent gradient, it is the steepest section of the spectacular downhill course. “We already proved the mettle of the electric SUV last year in a number of Audi e tron extreme events. From Pikes Peak to the salt plains of Namibia to the high-voltage test bay in Berlin – the Audi e tron prototype mastered the greatest of challenges,” says Peter Oberndorfer, Head of Product and Technology Communications. Take a look at the video on YouTube it's simply amazing! With an 85 percent gradient, the “Mausefalle” is the steepest section of the famous “Streif” downhill course in Kitzbühel. To climb this passage, the Audi e tron technology demonstrator was equipped with a special quattro powertrain with two electric motors on the rear axle and one electric motor on the front axle. The technology demonstrator achieved a total boost output of up to 370 kW and wheel torque of 8,920 Nm (6,579.1 lb-ft). This ensured full performance on the steep gradient. Audi also modified the software with respect to drive torque and torque distribution for the special conditions on the “Streif”. 19-inch wheels with spikes developed specifically for this driving event provided the necessary grip on snow and ice. 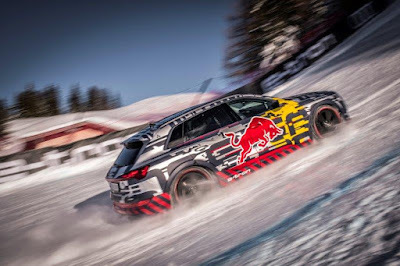 “Conquering an 85 percent gradient sounds impossible at first,” says Mattias Ekström, who was behind the wheel of the Audi e tron technology demonstrator. “Even I was impressed with the way this car handles such difficult terrain,” adds the World Rallycross champion and two-time DTM champion. He considers this event to be one of his most extraordinary experiences. For the greatest possible safety, the Audi e tron technology demonstrator was equipped with a roll cage and a racing seat with a six-point harness. The vehicle itself was equipped with a belay, through which a safety cable was run. There was no pulling device. Audi had a strong partner at its side for this project: the Austrian beverage producer Red Bull. 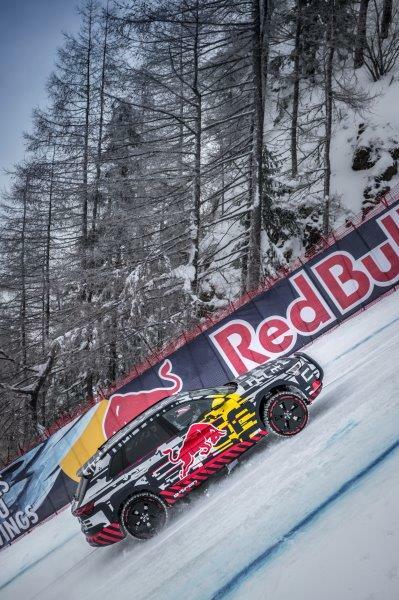 The two companies are long-standing partners of the Hahnenkamm Race and conducted this event together. 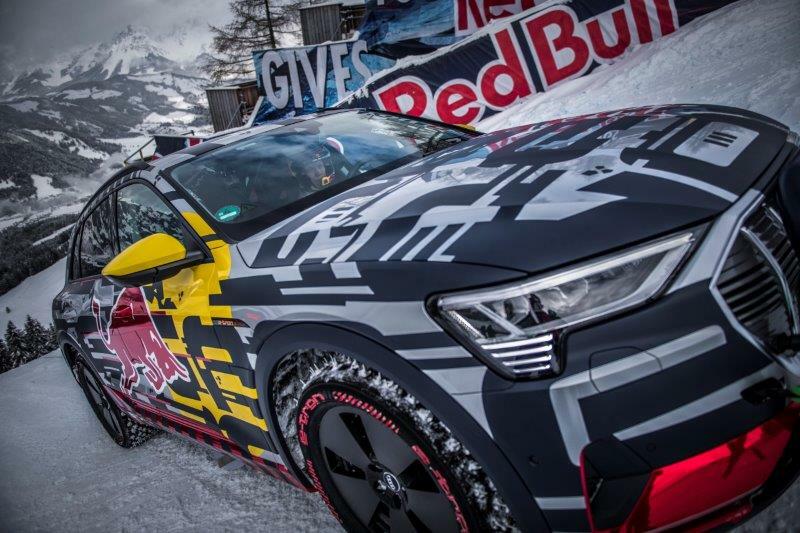 The Audi e tron technology demonstrator also illustrated this collaboration with a special set of decals. IronmongeryDirect, and sister company ElectricalDirect has completed a major expansion project, to house 1000’s more new products whilst expanding its customer proposition. 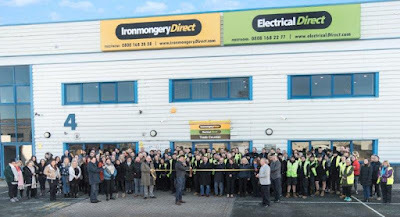 Part of the Manutan European Group, IronmongeryDirect and ElectricalDirect is the UK’s largest supplier of ironmongery and electrical products to the trade. 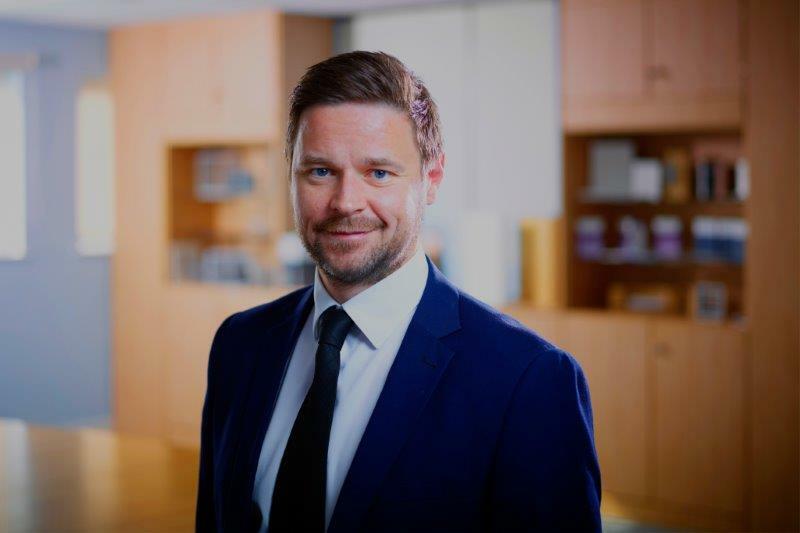 “We took the decision to double the size of our warehouse in order to continue our 20% year on year growth, cement our market leading proposition and drive ambitious range extension. Whilst giving our sister brand ElectricalDirect a strong base for growth. Door and window hardware professionals are being invited to take part in an online survey that will help to shape the future of the Guild and Institute of Architectural Ironmongers (GAI). The short survey aims to find out the views of architectural ironmongers on what they believe the most substantial issue facing the ironmongery industry over the next three years will be. It will also collect opinions on the GAI and IAI’s role in the industry and the membership benefits and services. The survey is being conducted by the GAI as parts of its One Future Vision programme. 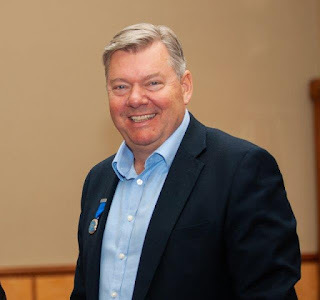 Once all of the research is complete, the Guild will be deciding how the GAI and Institute of Architectural Ironmongers (IAI) will operate going forward to best serve the interests of the architectural ironmongery sector and the benefits it provides to its members. “One Future Vision is one of the biggest shakeups within our industry for many years. We have listened to our members and the views of others within the sector and it is clear that times are changing. The deadline for taking part in the survey is 25 February 2019, to take part in the survey visit this website. To find out more about the Guild and Institute of Architectural Ironmongers visit www.gai.org.uk . Providing the composite door market with even more choice, Door-Stop International is pleased to announce the expansion of its product offering with a new option that allows customers to specify a colour on both sides of their chosen front door. With the same stunning range of 13 colours to choose from, the new option allows customers to mix and match shades to suit the inside and outside of their home. One colour can be selected for the external side of the door and a completely different colour for the interior, allowing the door to truly reflect the homeowner’s personality and complement both the building’s character and internal design. “We’re very pleased to offer this new feature, which we have introduced based on recent feedback that suggests customers want even more customisable options when buying their new front door. In fact, we are increasingly seeing customers selecting more modern designs and vibrant shades, perhaps using their door as a way of adding a pop of colour to their home’s exterior, so it seemed a shame to prevent this individualism from carrying on through to the interior. Door-Stop has a variety of colours available for customers to choose from, such as a duck egg blue, poppy red and the ever-popular anthracite grey, in addition to the more traditional shades of dark wood, black and white. 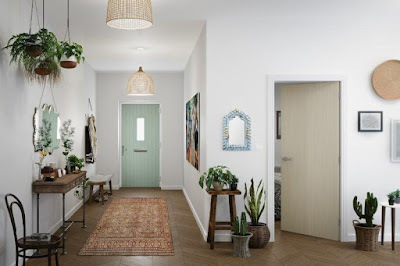 But the customisation doesn’t end there; Door-Stop also provides customers with the ability to select their preferred door design, frame style, glazing and hardware, from locks to door handles, on its handy online door designer, resulting in a door that is completely unique to them. Door-Stop provides a range of high-quality composite, solid core and fire doors, all of which are branded with its mark of quality, in addition to being weather-proof, police approved and energy efficient. 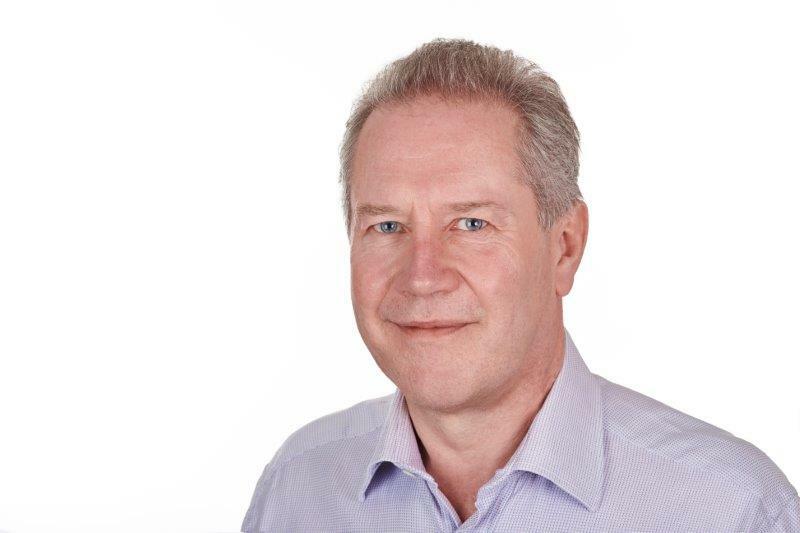 Lorient, respected designer and manufacturer of sealing systems for door assemblies has appointed Kerry Hicks as its new Managing Director, effective 1st February. He replaces Maria Powell, who retired after 23 years at Lorient at the end of January. Prior to his new appointment, Kerry served as Sales Director and brings a wealth of experience, and invaluable customer and market knowledge to the position. His career with Lorient started in 2003 and he has built up a strong reputation for delivering excellent customer service, leading, guiding and motivating teams of people; and has made a significant contribution at Board level for many years. Kerry said: “It is a great privilege to be appointed to the role of MD in Lorient’s 40th anniversary year. Maria has done a tremendous job and I’m very much looking forward to building on her success; and driving the next stage of growth with our hugely talented team. Kerry will assume overall operational responsibility for the activities of Lorient in the UK and Europe reporting directly to ASSA ABLOY Market Region Manager (UK Group MD), Harry Warrender, who commented: “It’s fantastic to have Kerry on board and we welcome him to the management team of ASSA ABLOY UK”. IDF Aluminium has installed transom closers, solenoid locks and hook locks from Alpro Architectural Hardware at a building in a historic section of London’s Finsbury Square. No.4 Chiswell Street backs onto the Artillery Ground which has seen archery in Tudor times, some of the first organised games of cricket in the 1730s and even a hot-air balloon flight in 1784. The four-storey structure was refurbished by main contractor Parkeray to a design by Ben Adams Architects that created column-free office space with exposed concrete soffit and a signature golden mesh & grille façade based on curtain walling with bold circles. The glazing is unusual since the Reynaers’ curtain walling for the double-height reception uses innovative bracketry to support massive panes from Euroview Architectural Glass. The Alpro closers are on the distinctive gilt exterior doors and the client is also benefiting from solenoid bolts in the door heads. The advanced microprocessor module provides power reduction allowing for continuous operation without heat generation as well as automatic voltage regulation, dual monitoring and access control features to fully monitor and control movement. Installers can use housings from the same series for surface mounting which facilitates the securing of glass doors. Dress plates are offered for a clean finish. 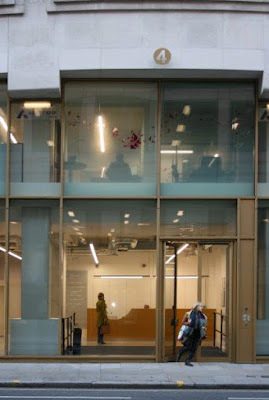 The No.4 Chiswell Street refurbishment was carried out with tenants in occupation and even involved use of abseiling techniques to replace glazing. A temporary reception was created for access and egress. Daylight has been maximised and floor-to-ceiling height is used wherever possible in a design that meets the Equality Act and includes a revised fire strategy. IDF specialises in the design, manufacture and installation of aluminium doors. The door projects are often in business and public sector environments where usage may be high but maintenance costs must be minimised. IDF has 30 years’ experience in the shop front and commercial door market. The company ensures a quality service by designing and fabricating all of its doors and shop fronts in-house with no use of sub-contractors. The client portfolio covers transport, local government, healthcare and education from schools through to universities. 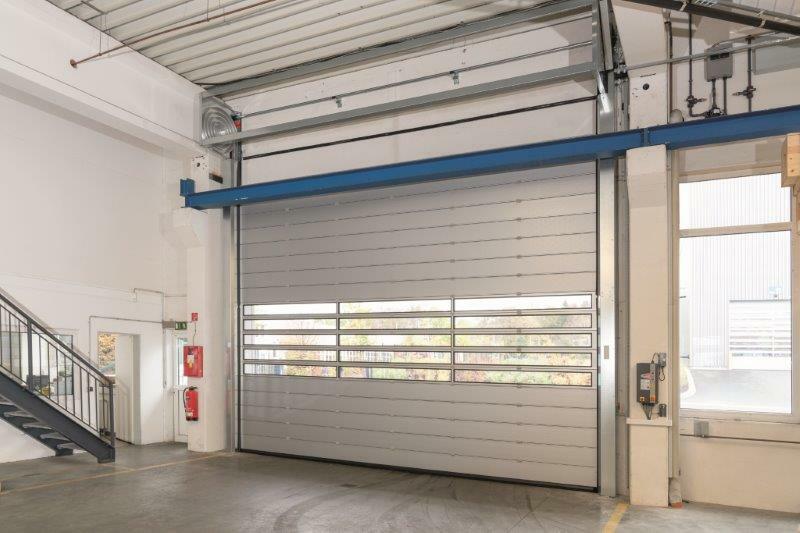 Europe’s leading door provider, Hörmann UK, is continuing to exceed the expectations of the warehousing and logistics sector with a range of new product and service launches, further enhancing its extensive industrial portfolio. Recently unveiled at BAU 2019, the new HS 5012PU 42 S spiral door features a 215mm narrow side element, which allows for quick and easy installation, even in the tightest of spaces. 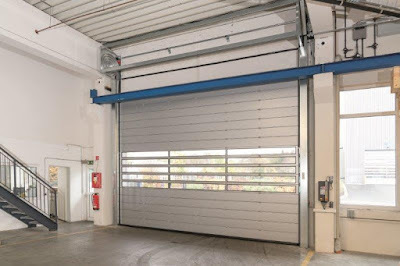 Its counterbalance without springs construction also provides a service-friendly and virtually wear-free design, without comprising on the maximum speed of 1.2 m/s for opening and an impressive 0.5 m/s for closing. 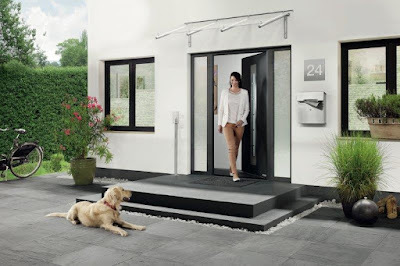 The door can also be operated by Hörmann UK’s innovative BiSecur radio control elements, providing safe, secure and convenient operation through its encryption protocol. The latest HS 5012PU 42 S model is also supported by Hörmann UK’s new SmartControl system, a service offering that is compatible with all Hörmann UK high-speed doors manufactured from 2015. Providing technical door analysis at all times, the SmartControl system is an online portal where professionals can access important door information, such as error messages or updates on door cycles and overall performance. The programme is designed to provide cost-savings by aiding a reduction in the frequency and duration of service and maintenance visits by providing a platform that allows for proactive and proficient service planning. The easy-to-use software also enables parts to be ordered and replaced before a breakdown occurs, significantly minimising any potential downtime that may occur due to faults or breakdowns. Faster troubleshooting can also be achieved due to online access of the door’s control, streamlining the servicing process for professionals as no software installation is required. The latest HS 5012PU 42 S spiral door and SmartControl system will be available to the UK market from 1st March. To view Hörmann UK’s complete offering for the industrial sector, visit www.hormann.co.uk or call 01530 513000. 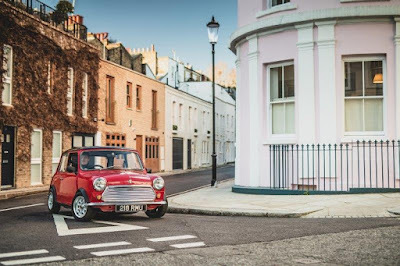 Sixty years after the iconic Mini first hit the streets, a British technology company has unveiled the first production electric classic Mini at the London Classic Car Show. The Swind E Classic Mini combines a fully-restored body and bespoke powertrain developed in-house by industry leaders Swindon Powertrain, specialists that have been providing engineering expertise to automotive and motorsports industries for over 40 years. Produced in Wiltshire at the firm’s recently-upgraded facility, the Swind E Classic Mini instills all the affection of the original with state-of-the-art EV technology to create an individual, nippy, zero-emissions city car with character. While retaining the same look, proportions and spirit of the original Mini, the bespoke 80kw motor and single transmission ensures responsive and smooth power that can be used without incurring congestion charge fees. Available to order immediately in either left- or right-hand-drive, the limited production run of 100 cars starts at £79,000 and comes with an unlimited mileage one-year warranty and MOT. 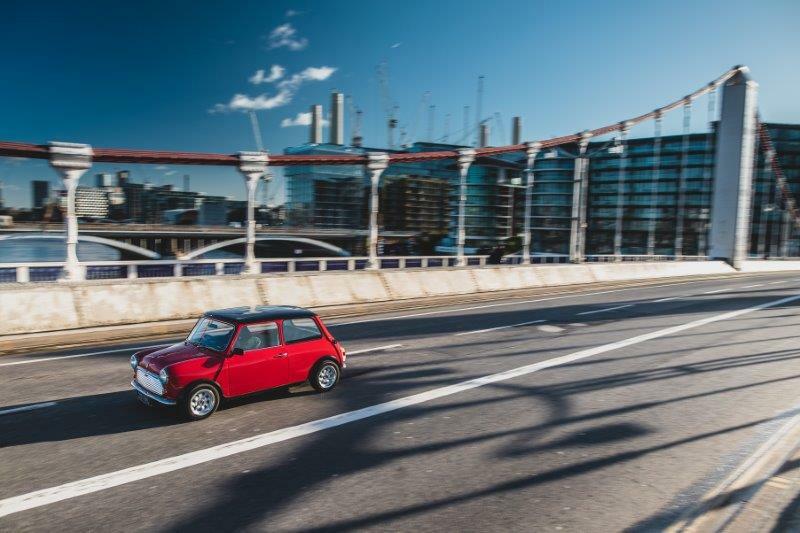 To ensure the E Classic Mini can stand up to the rigours of today’s driving, the prototype has completed over 10,000 real world miles alongside thousands of hours of virtual simulations of the bespoke powertrain. Contemporary corrosion protection together with completely new brake and suspension parts ensure Swind’s E Classic Mini is substantially easier to live with than other classics. This highly-advanced Swind E Classic Mini is the brainchild of Swindon Powertrain’s managing director Raphael Caillé, who saw an opportunity to produce an electric car with a soul that people from all walks of life would instantly fall in love with. 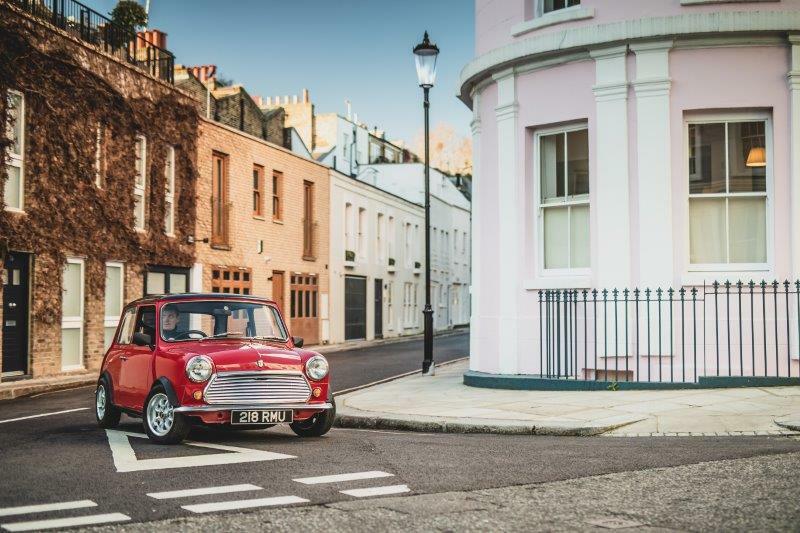 “This is the first time an electrified classic Mini has entered production,” confirms Caillé. “There have been one-offs and prototypes before, but Swind is the first company to launch such a car to the public. 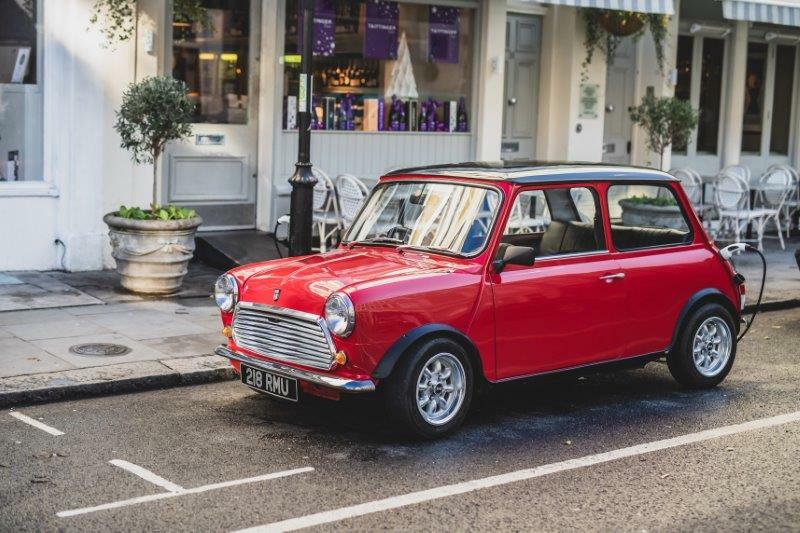 The classic Mini has such a special place in people’s hearts, not only in the UK but around the world. GEZE UK will be providing a ‘window’ on a range of new products and solutions at the UK’s only event for the glass and glazing industry - the FIT Show. 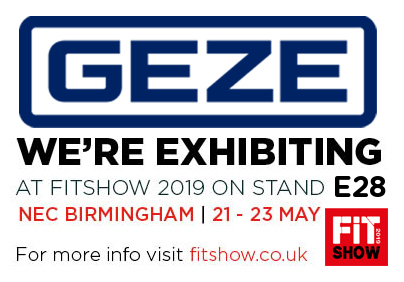 The FIT show features 250 brands showcasing more than 4,500 products and is now in its seventh year having relocated from Telford to a bigger ‘home’ in 2017. Its purpose is to forge “a bridge between the manufacturers and distributors of products, components and services with the companies and individuals that fabricate, install and specify them”. “We are delighted to be exhibiting at the FIT Show. It is an excellent opportunity to demonstrate our solutions and new products in an environment where we can give visitors insight into how they can be used in a variety of situations and to meet specific needs. 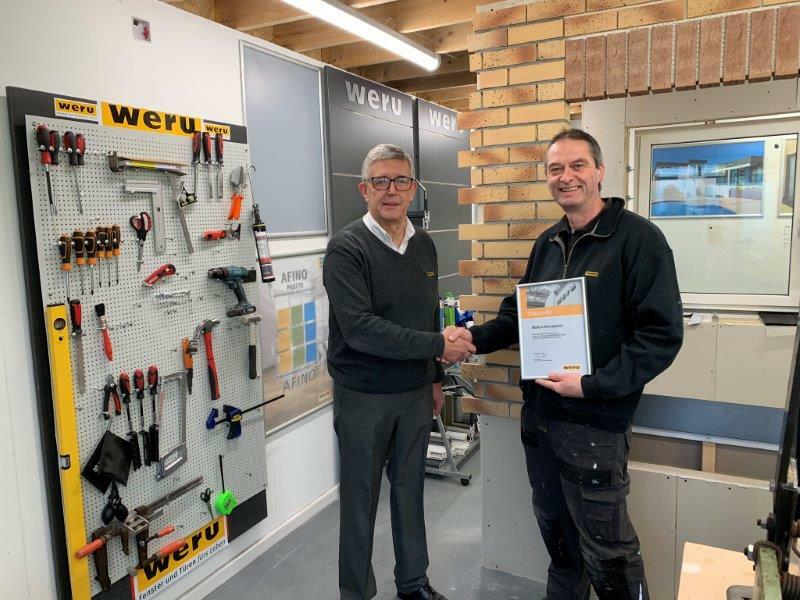 Blackpool-based Weru UK – a distributor for Weru (Germany’s market leader in windows and doors), has just achieved the new RAL installation standards certification. The new and very strict RAL approved door and window installation standards cover all aspects including air tightness, security and wind loading on entrance doors, bi-fold doors, sliding doors and last but not least, windows. 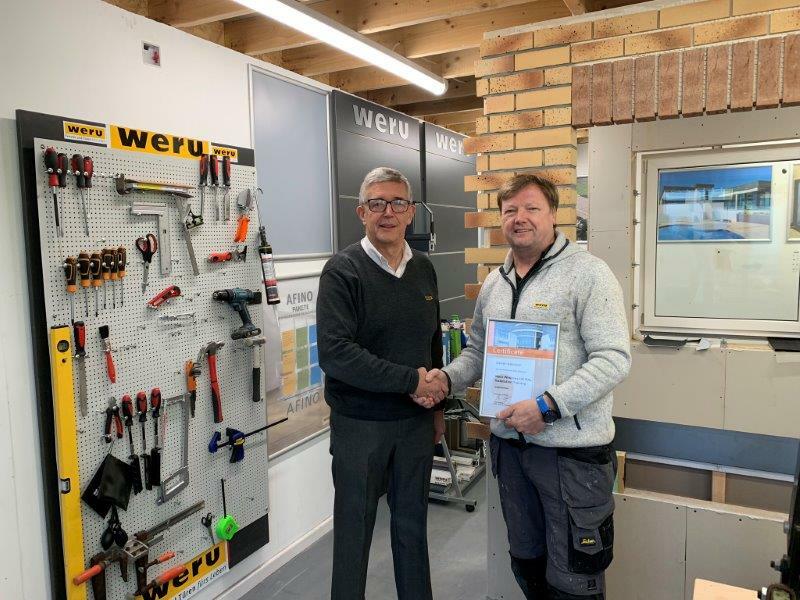 Weru UK is to their knowledge the only window and door company outside of Germany to receive this prestigious honour and one which required the company to undergo stringent assessments and training prior to be being awarded the sought-after accreditation. “RAL is recognised as a trusted trademark worldwide and a reliable guide for consumers over the almost 90 years it has been in existence. Whilst the Weru product range has had full RAL accreditation on their finished products for many years the introduction of a RAL certification for technical installation is new. “We feel it will be of high interest to all UK architects and specialist Eco builders and will clarify the myriad of grey areas that exist re the optimum fixing methods frame position and wall connections. 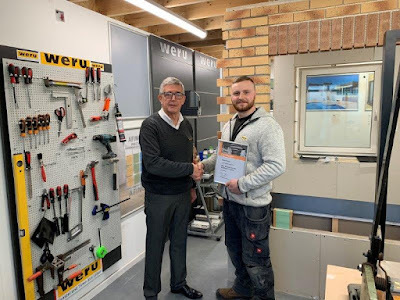 The firm was established 34 years ago but the formation of the Weru UK network is new however there are already established Weru Partners in Macclesfield Derby, Glasgow and Bexhill all currently going through the same accreditation. The network currently has a combined turnover circa £4.5 million. They have commenced seeking new partners countrywide to fully establish the brand in the UK. The new training facility operates from within the Weru UK 8000 sq ft UK head office at Amy Johnson Way, Squires Gate, Blackpool. Following the success of the same promotion last year, garage door supplier JD (UK) has relaunched a special offer for the first quarter of 2019, giving installers a 10% discount on Alutech sectional garage doors when purchased with a batch of the award-winning Levigato garage door operator. This means that for every batch of 10 Levigatos purchased, a 10% discount will be applied to one Alutech sectional door on the order and for every batch of 5 Levigatos purchased, a 5% discount will be applied to one sectional door on the order, or multiplies thereof. To take advantage of this special offer, customers should place their order before 5pm on Friday 29th March 2019 by calling Nichola at JD (UK) on 01924 472924 or emailing nichola@jdukltd.co.uk. 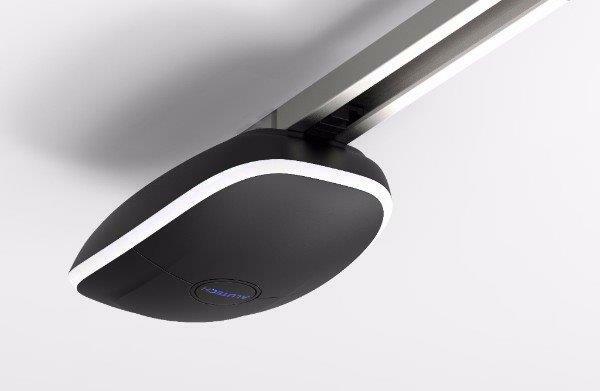 But that’s not all, if you are yet to try the Levigato garage door operator, as an added incentive to the many benefits of the product, JD (UK) is offering first time buyers their first Levigato at a special introductory rate. And should you require assistance when first installing this motor, a JD (UK) representative will be able to assist you. To find out if you qualify for the offer please call Nichola at JD (UK) on 01924 472924 or email nichola@jdukltd.co.uk. 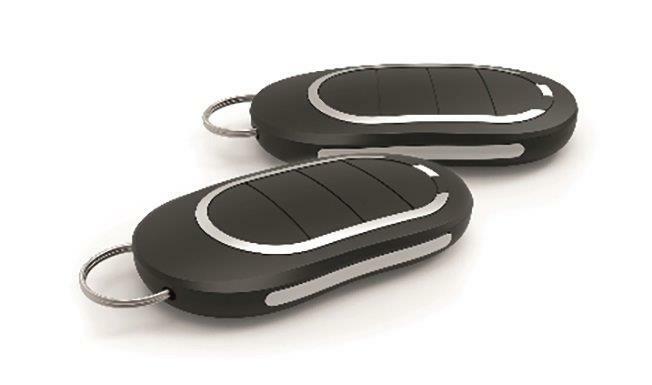 The Levigato Garage Door Operator is our most competitively priced automation system yet and has grown in popularity since its launch last year. The sleek, slim, award-winning Levigato motor was designed by Pininfarina, a famous automotive design company also associated with premium brands such as Rolls-Royce, Ferrari, Alfa Romeo, Lancia and Maserati. Homeowners love its contemporary design and ease of use, while installers appreciate its versality, ease of installation and the range of accessories available. 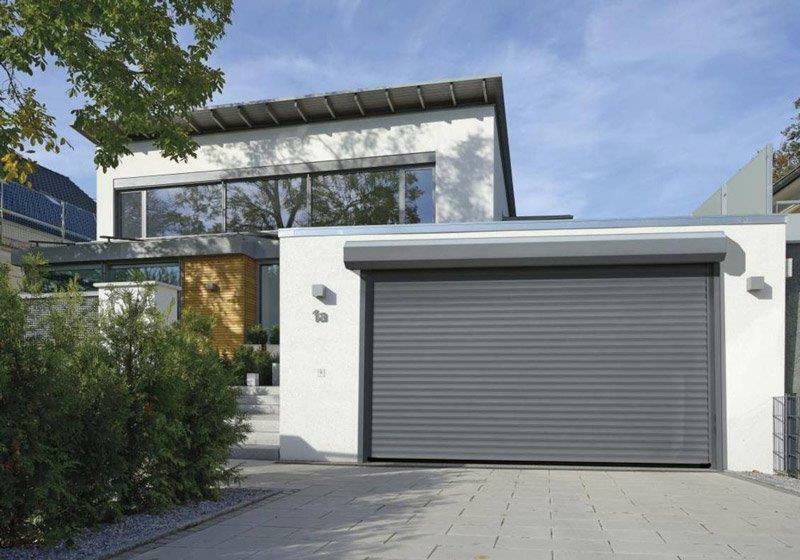 Levigato opens up new opportunities to installers in the replacement motor market and is also the perfect partner to the new Alutech double side sprung door. This new Alutech side sprung door offers improved aesthetics to the door internally, with no requirement for overhead springs suspended from the ceiling or fixed above the garage door opening, which can be unsightly and inconvenient. Available for door sizes up to 4500mm wide and 2250mm high. JD UK Ltd and Alutech Systems are key UK distributors of the Alutech Group, offering UK-based service and support to fabricators and installers from a world-leading designer and manufacturer of aluminium systems, including; sectional and roller garage doors and garage door automation, aluminium windows, doors, façades, conservatory systems and internal partitioning.